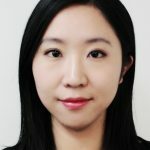 Dr Yixiao Zhou is a Research Fellow at Crawford School of Public Policy, the ANU. Yixiao’s research encompasses a range of topics in economic growth and development. Her PhD thesis examines channels of technological catch-up and industrial upgrading in economic development. Her current key projects include the economics of innovation and automation, economic growth in China and its macroeconomic relationships with the world, inequality of opportunity, and the impacts of trade on wages and economic growth.